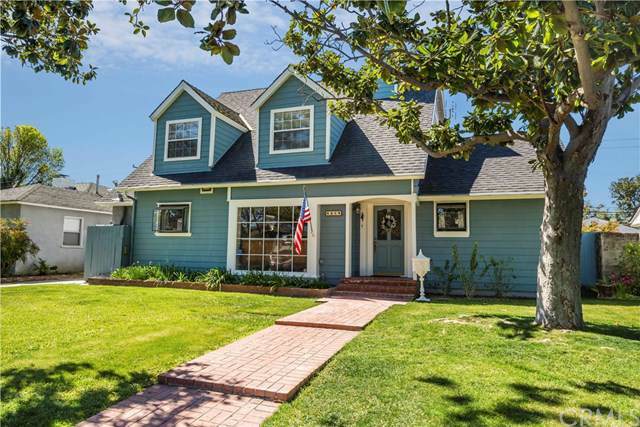 4609 Faculty Avenue, Long Beach, CA 90808 (#300968661) :: Ascent Real Estate, Inc. Welcome to the coveted community known as Lakewood Village. This 5 bed, 3 bath, 3154 sq.ft. home is situated on a 7677 sq.ft. lot. Spectacular curb appeal with fresh new landscaping and paint. 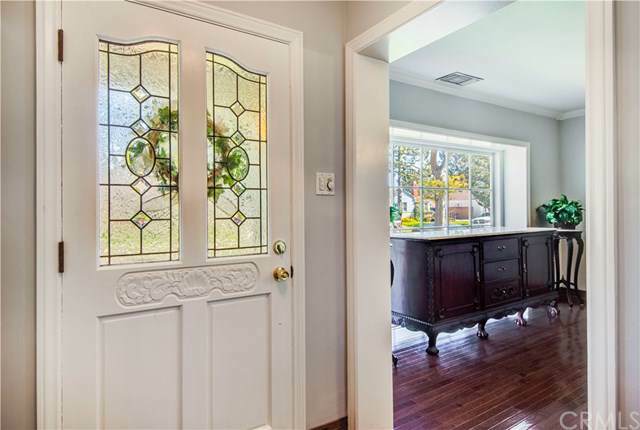 Custom leaded glass door leads into a wonderful home. Completely repainted boasting carpet/hardwood floors, recessed lighting, crown molding and HVAC throughout. Massive living room offers endless possibilities for large gatherings and family entertaining. Expansive formal dining room with bay window and gas firepla Welcome to the coveted community known as Lakewood Village. This 5 bed, 3 bath, 3154 sq.ft. home is situated on a 7677 sq.ft. lot. Spectacular curb appeal with fresh new landscaping and paint. Custom leaded glass door leads into a wonderful home. Completely repainted boasting carpet/hardwood floors, recessed lighting, crown molding and HVAC throughout. Massive living room offers endless possibilities for large gatherings and family entertaining. Expansive formal dining room with bay window and gas fireplace. Kitchen offers built in gas range, double oven, plenty of storage and separate breakfast seating. 3 light and airy bedrooms, a powder room and full bath complete the downstairs. Spacious backyard complete with detached 2 car garage, 2 large storage sheds 1 with electrical power, mature lemon and avocado trees, covered sitting porch and grass area. Upstairs large master retreat with vaulted ceilings, office or workout space, walk in closet and ensuite with dual vanities and a separate tub and shower. Additional bedroom with vaulted ceilings and an office with built in bookshelves finish the upstairs. 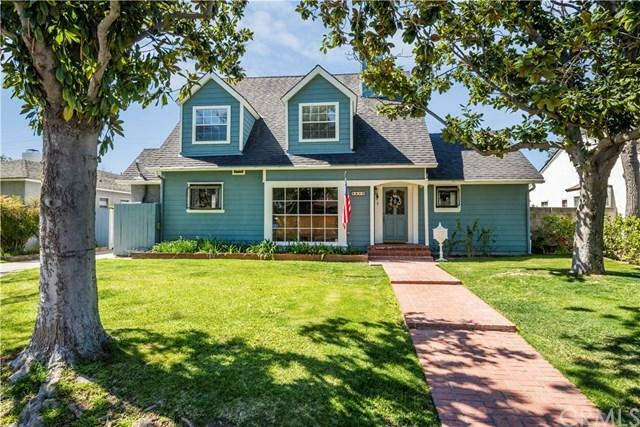 This home is move in ready and offers many possibilities to customize and expand. 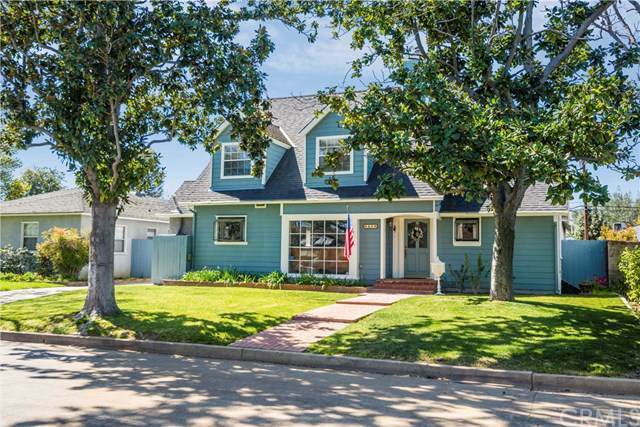 Close to Long Beach City College, schools, parks, freeways, shopping and restaurants.